Xico Greenwald reviews Van Dyck: The Anatomy of Portraiture at the Frick Collection, New York, on view through June 5, 2016. Greenwald writes: " exhibit organizers here have gone to great lengths to point out van Dyck’s contribution to art history is his working method. Pairing paintings with preparatory drawings, van Dyck painted faces directly from life. 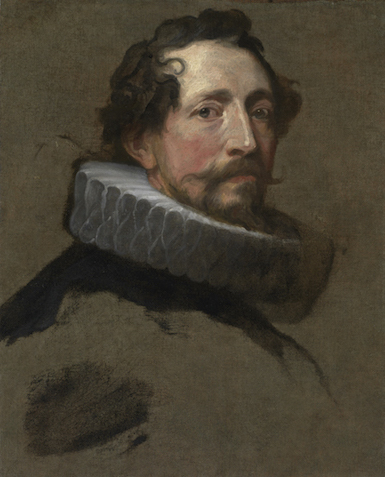 After working out compositions with loose, energetic chalk drawings, a number of which are on display in the downstairs galleries, van Dyck invited his subject to pose. He would paint the heads himself, then dress studio models in borrowed outfits. With the help of assistants, van Dyck completed 'the remainder from these live models,'" [Giovan Pietro] Bellori reports.